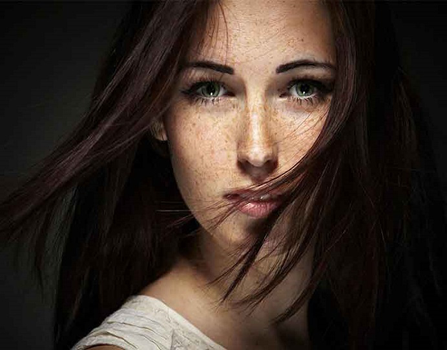 Sun exposure over many years leats to sun spots, age spots, freckles and discolouration. These changes to the colour of the skin are usually seen in combination with fine lines and wrinkles and many small blood vessels (telangiectasia) on the skin. Many people find they are increasingly relying on make-up to cover pigmentation, blemishes and redness. Skin regularly exposed to sunlight, particularly as people get older, is also prone to skin cancers and pre-cancerous changes on the skin. It is essential that your dermatologist checks your skin to ensure that spots, lumps or discolouration are not something more serious that needs to be treated. A number of treatments are available for sunspots, age spots, freckles and discolouration. These often include sunscreens, alpha-hydroxy acids, beta-hydroxy acids, topical retinoids (vitamin A products), chemical peels and laser resurfacing, and other lasers. Talk to your dermatologist at Central Dermatology Clinic for expert advice as to what treatments are right for you.